Leadership Tulsa is pleased to present the newest participants of the traditional LT program, Class 60! 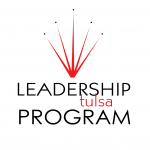 The flagship program is a community service education program for individuals interested in learning more about Tulsa and about ways to make a difference in our community. Debbie Jones, KKT Architects, Inc.
Laura Law, Fiber Pad, Inc.
Robert Rielly, ONE Gas Inc. Rob Sher, Cimarex Energy Co.